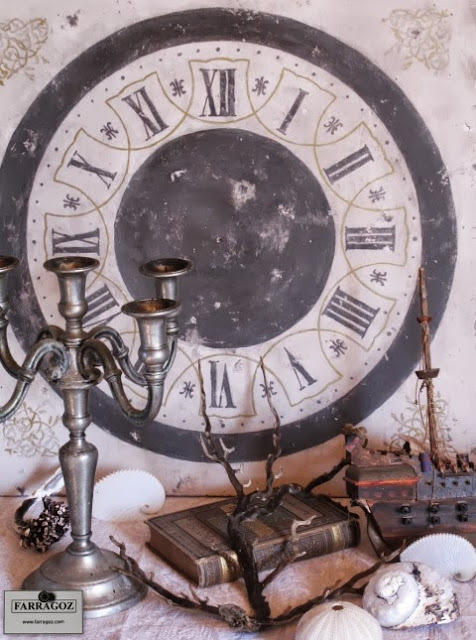 Have you ever wanted to know how to create Old World patina on furniture? Several months ago I partnered with Farragoz and I honestly LOVE this course! As an antique dealer I have always admired the beautiful patina of painted antique furniture and have tried unsuccessfully many times to replicate the look. I could never quite achieve the look using modern paints. With the Farragoz course I have learned how to make my own paints and stains using old world techniques and the results have been amazing. Below are a few of the items you will make with the course. This Icon was my first project. Module #2 is this very large clock. To see my version go HERE. 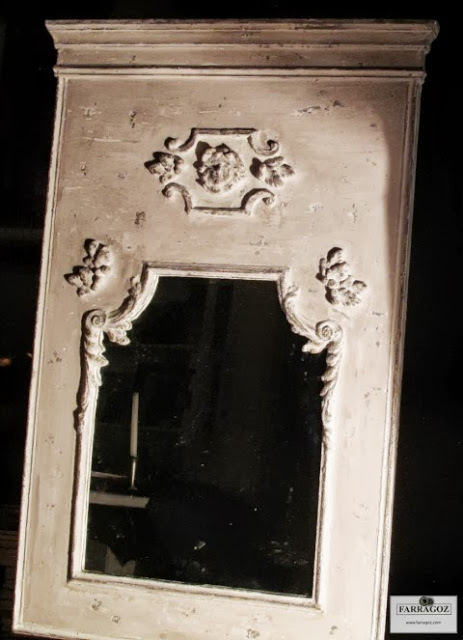 I can’t wait to make this Trumeau mirror. 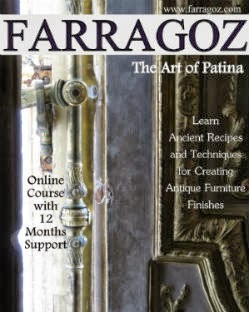 I am excited to be offering you the opportunity to win a Farragoz Art Of Patina Course. The winner will receive the 12 month on-line course where you will learn to make your own paints and stains, recreate old world techniques, transfer images and make five different projects. You will receive complete written and video instructions and templates are furnished for each project. There is always an instructor available to answer questions and help in any way…the customer service is one of the best I have seen. Thanks for visiting and to enter the giveaway follow the instructions below. I was given the course to review but all opinions are my own. OMGosh Sherry this is an amazing giveaway! So keeping my figures crossed!! I have heard a little about this technique, but don't really know much about it! So glad you are enjoying it! Are you going to the Fancy Flea? Would love to meet you! This looks like a great class! Sherry, I would love to win this course especially since I retired last year with no income (only husbands) You did a fabulous job on your projects after taking the first couple of modules! Keeping my fingers and toes crossed! What a fabulous giveaway, Sherry! Your pieces are amazing! I love the old world technique. Thanks for hosting! I went to their website when you first talked about it and I have been back since—it is AMAZING! I would love, love, love to win this!!! Oh Sherry what a wonderful giveaway!!! I am crossing my fingers and toes. This would be amazing to take. Thanx for linking up to THT! I am not entering to give someone else the chance to win. I am already taking the course and loving every minute I spend working on improving painting skills. The patinas you can achieve are out of this world – or maybe old world!